We help take your small business to the next level, As we Believe Your Business Success Is Our Business. Something is revolutionary! Just saying this is sometimes not enough. We are here to educate about its advanced benefits, too. You will also receive a page called “Advanced Benefits”, which has multiple short videos explaining each advanced benefit. This is doing the heavy lifting for you, meaning the videos will do this educating for you, thereby educating your public and your clients. Remember this is a full turn-key system which has been designed to use as little of your time as possible. The system does the work for you, and you just follow the system. 1. Healthy—The first and only method that is safe and healthy for your hair. 2. Invisible—Difficult to see, feel, or find where hair has been added, truly natural because you see and feel virtually nothing! 3. Universal fix—The one and only method that will work on and solve ANY hair situation in existence. A one method fix-all. 4. Stimulate Hair Growth—The only method which you can use any hair growth treatment. So, you can add the hair volume and/or hair length desired WHILE simultaneously stimulating your client’s hair growth! Think of the possibilities. 5. A flawless Blend Every Time—Due to the Micro Strand distrusting ONE human hair, spread apart, the added hair will always blend perfectly and flawlessly. 6. Duplication of Hair Growth—Hair grows out of the human head ONE human hair at a time, spread apart from each other and dispersed. The invention of the Micro Strand feeds hair the same way in with your client’s hair. 7. Reduce or eliminate Hair coloring—Due to adding single human hairs and evenly distributed, this will camouflage roots showing, therefore reducing the need of touchups so often. Plus, any percentage of grey hair will automatically be reduced, sometimes eliminating the need to color hair. However, you can still color the client’s hair and the added hair you if choose. 8. Reduce or eliminate Highlighting—You can add highlights or lowlights automatically into the added hair, creating any look you want with perfection. This enables you to either have all the highlights automatically blending in, or highlight/lowlight the client’s hair with the highlighted/ lowlighted added hairs. The point is you can produce a lot more professional creativity, making yourself and your business a lot more creative and unique. 9. Reduce or eliminate perming—Because hair is blended in between the existing hair in the same way hair grows from the scalp, one human hair at a time spread apart, you’ll achieve even, natural distribution. This then will either dilute the feel and look of roots growing in which, in turn, enables your clients to reduce the need of perming. For clients on the fence of needing a perm or not, this will eliminate the need for perming. Either way, you have the ability to help your clients in more flexible ways. 10. Add increased hair volume and/or hair length ANYWHERE—Hair Stranding is the only method which enables your business to help clients by adding hair anywhere on their head they desire. It’s important to know each and every other method of adding hair has its own particular restrictions on where hair can be added. Imagine offer a method that can add hair in a purely natural way anywhere on the head, even directly in the front hairline. Your company will not have no limitations. 11. Lasts 3 to 4 YEARS!—When compared to any other method or option in the world, this method lasts far longer than any other. This alone makes this concept very appetizing, plus also makes this much more economical for your clients. Yes, there are more advanced benefits than listed above. Again, see videos on these and other advanced benefits on the website listed above. Just think, if you offered a product and service with just some of these advanced benefits, would this attract a lot more clients? Now think about this: where is there an educational marketing, selling, and training system that is completely automated, provided on videos for you? This saves you a tremendous amount of educational time for the public in your area, your clients, and even yourself and your staff. The videos give you the freedom to learn at your own pace and to let the videos bring you the clients. Yes, there is work involved from you and your staff, so you do have a responsibility to make this work. But it has been simplified to learn from and expand your business. The best way to stimulate interest about your business is to give the public something to talk about within your business. The best way to do this is to offer something unique which people will talk about. If you were to offer something revolutionary and bragged about it, plus had a way of spreading this news, it would be like you were on a news station consistently. There is a revolutionary product/service is shown on videos, which can have your company’s name and contact information within, to notify the public. Once people see these videos, they will contact your salon, Hair Studio, or cosmetic company with questions and enthusiasm. Interesting news automatically spreads in a viral way, especially if there is something that can be spread around digitally, like video links. 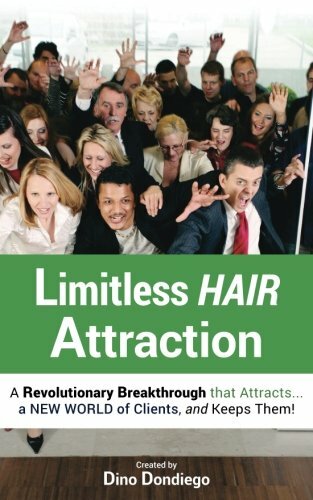 This is exactly what keeps happening with companies that offer Hair Stranding by InvisaBlend. First you share the Hair Stranding by InvisaBlend videos through your social Medias and emails and then people find these videos very interesting because it is something completely different from what they have ever seen. There are videos showing a revolutionary product/service that will give your public something to talk about—your business. Just go to www.InvisaBlend.com and look at these videos, or just one video on the home page. If you feel this new concept is something that your audience will want, then your next step is a natural one! Just saying something is revolutionary is sometimes not enough. You need to educate about its advanced benefits, too. You will also receive a page called “Advanced Benefits”, which has multiple short videos explaining each advanced benefit. This is doing the heavy lifting for you, meaning the videos will do this educating for you, thereby educating your public and your clients. Remember this is a full turn-key system which has been designed to use as little of your time as possible. The system does the work for you, and you just follow the system. In reference to seeing videos about the advanced benefits for your prospective clients and for yourself, go to this website: www.InvisaBlend.com and then click on the second page called “Advanced Benefits”. 1. Healthy - The first and only method that is safe and healthy for your hair. 2. Invisible - Difficult to see, feel, or find where hair has been added, truly natural because you see and feel virtually nothing!